Delivering successful projects and programmes is one of the 4 priority capability areas set out in the Civil Service Reform plan. Some skills are already in place at expert and practitioner levels - but every civil servant needs some knowledge of basic project delivery skills. Why is project delivery so important? The Civil Service handles a huge variety of different projects. It is responsible for delivering new roads and rail, better schools, hospitals, the latest medical treatments, and IT transformation programmes that will permanently change the way people connect with government. The benefits these projects will bring to the country are enormous and the overall investment represents a real commitment to change. 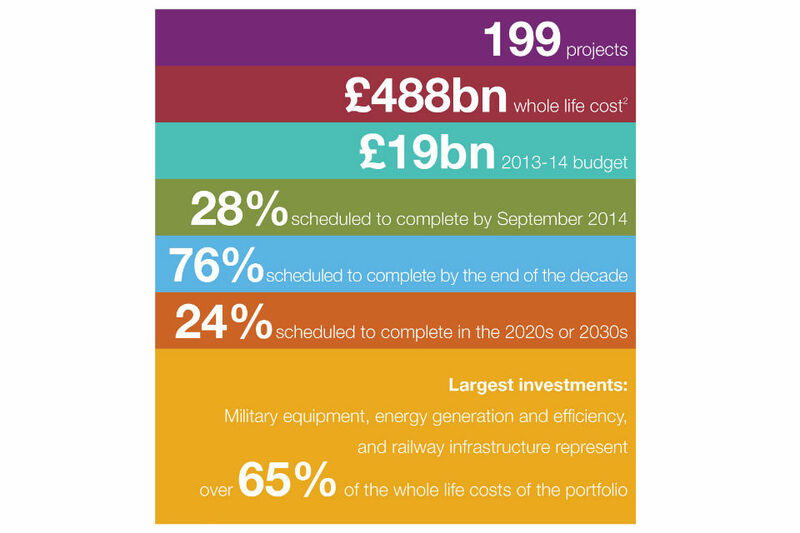 In 2013 National Audit Office stated that many ‘…government policy initiatives were delivered through major projects. 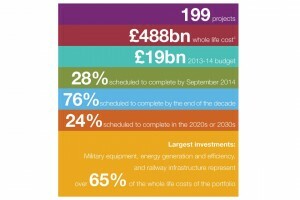 Successful project delivery is therefore essential to government delivering its promises and objectives.’ And today government is committed to nearly £500bn of investments over the lifetime of the top 200 projects in the Government Major Projects Portfolio; an investment of around £20bn every year. Given this context, the ability to successfully deliver projects and programmes is of paramount importance. In an era when we have to deliver more for less, successful project delivery is absolutely crucial to policy implementation. What are the Major Projects Authority doing to improve project delivery? We provide independence assurance and experienced tailored support to projects. Helping departments deliver their projects more effectively. Through our professional training courses we are building a cadre of experienced project leaders who can work across government to deliver our most important projects. We lead the Project and Programme Delivery profession, building and developing a community of experienced delivery professionals who efficiently and effectively deliver policy outcomes. Working with departments we act to ensure that government has a clear understanding of the portfolio profile including benefits and risks and that departments have clearly prioritised their portfolios ensuring they can be successfully delivered within their budget, capability & capacity. We work in partnership with departments, HM Treasury and Cabinet Office colleagues to ensure that work on project support, assurance and approvals is joined up – allowing project teams the space to ‘get on and do’. Delivering major projects successfully requires a culture of openness and realism allowing people to challenge projects and provide solutions at any point. As part of this transparency commitment we publish the MPA Annual Report with data on the performance of all our major projects. What can you do to improve your project delivery skills? There are many ways we can build capability and capacity in this priority area. We can shadow delivery professionals, learn on the job and take more structured e-learning modules on Civil Service Learning. Log in and have a look! To develop the next tier of Project Leaders we are piloting the Project Leadership Programme (PLP) for individuals leading priority projects within departments. These projects, although not part of the GMPP, are still highly significant, complex and challenging. Whatever your involvement in project and programme delivery you should enrol in the Project Delivery Profession. This will allow you to network and share knowledge with other professionals and enable continuous professional development and support. Did you miss the second Civil Service Jobshare Network event? I can't see anywhere on this page or on the Project Delivery Profession website any instructions on how to join or 'enrol', in the Project Delivery Profession. I humbly apply for a place in the major project leadership academy. I will be most grateful if I'm considered. It`s a pity that the people signing off on the projects within the GMPP aren`t as expert as the peolple selling the projects. I T-- a good example?? Ditto! I am very interested in enrolling so would like to know how this is achieved. To register as member of the profession you need to go on the Civil Service Learning portal, within which is the link to the Project Delivery Profession. 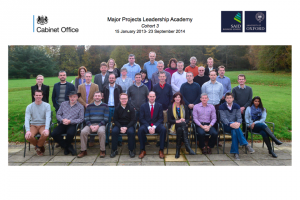 To be considered for the Major Projects Leadership Academy (MPLA) you have to be a Project Leader (SRO / PD) on a projects that is on the Government Major Projects Portfolio. same as i wouldnt mind joining this... how? Am I correct in saying that to attend the Major Projects Leadership Academy you already have to be leading a Major Project? Out of interest, is one of the qualifications to lead a Major Project the requirement to have attended the Major Projects Leadership Academy?